many choices to be made. The design follows Labels Forty-Twos silhouette with wonderful fleur de lis designs that embellishes its edges of this four piece set. 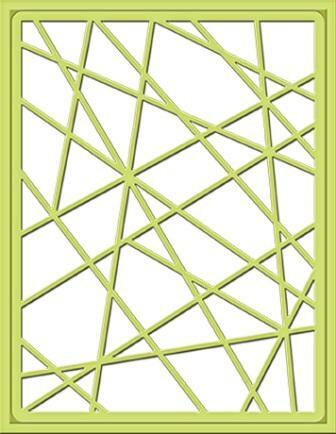 Mix, match and layer with Labels Forty-Two and other Nestabilities® shapes for frames, mats and unique designs. Designed to coordinate with Labels Forty-Two dies, it accents the labels silhouette and extend the design with sweet heart like patterns. 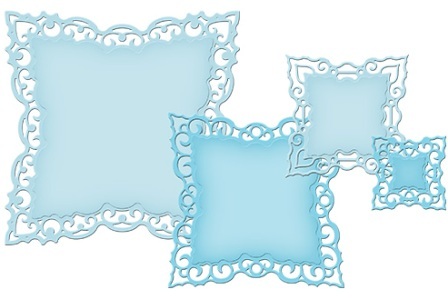 Decorative Accents sets include an element such as a corner piece, tag or other kind of accent that help embellish a project. 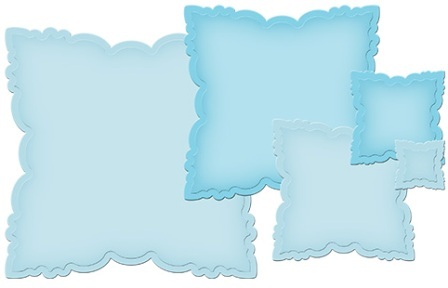 The design follows Labels Fortys silhouette with wonderful swirl designs that embellishes its edges of this four piece set. 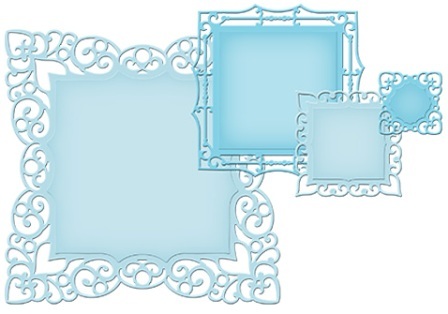 Mix, match and layer with Labels Forty and other Nestabilities® shapes for frames, mats and unique designs. 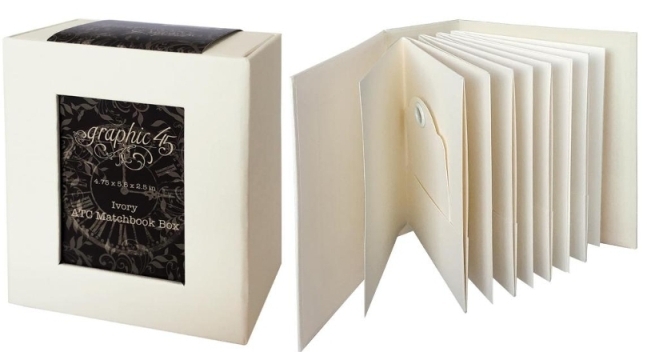 A set of four die templates coordinates with Labels Forty dies, it accents its silhouette to extend the design of the label. 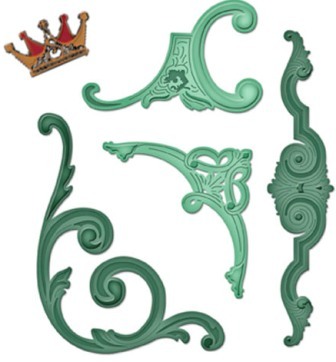 Decorative Accents sets include an element such as a corner piece, tag or other kind of accent that help embellish a project. 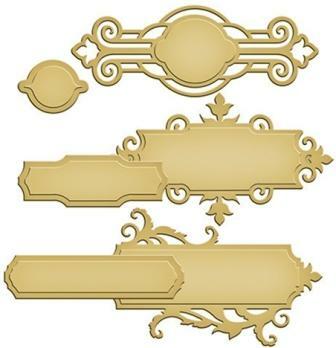 This set of five die templates is rectangular with bracket shaped sides and soft curved corners. 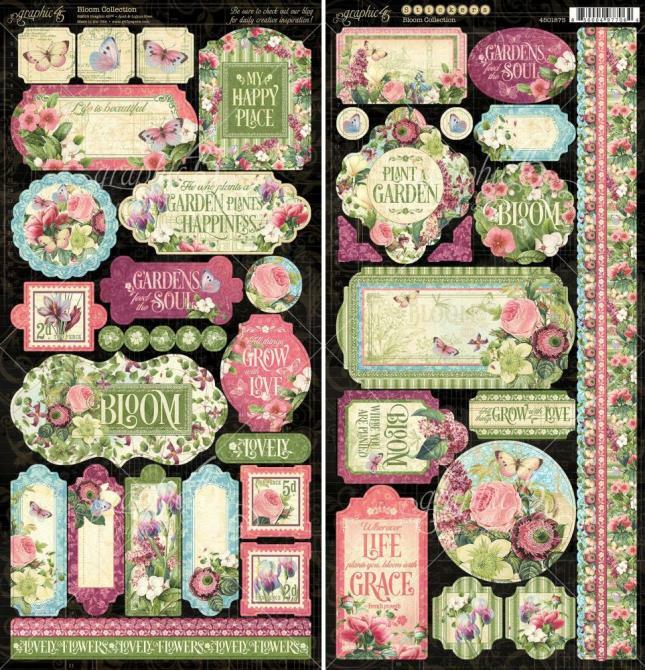 Use them individually for stamped verses or journaling, stack and layer within the set or with other die template shapes for unique designs. 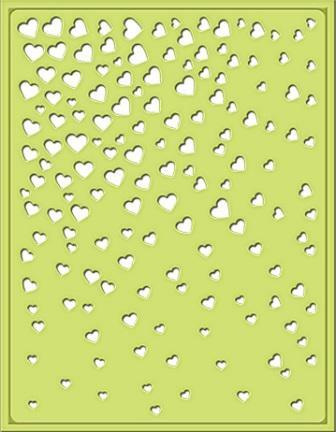 Let your heart overflow with love using this set of two dies! Cascading from the left corner, heart shapes of different sizes scattered throughout. Use red glitter paper in the background to bring out the heart shapes. 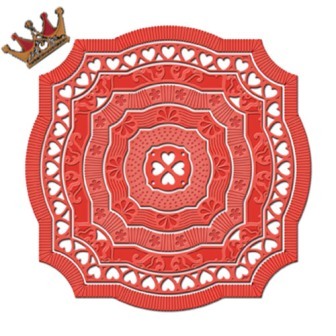 Create a fun holiday project with this expandable patterns die! Makes a great holiday accent on a luminary, a project background to a fabulous card front, just add glitter paper on the back for that WOW! factor. What a fabulous trendy design in this set of two. 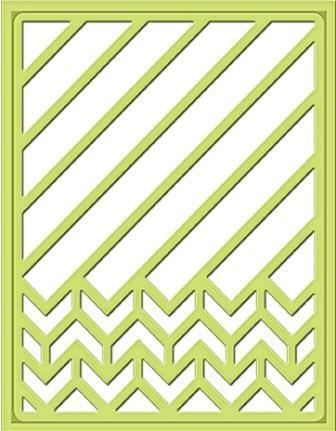 The pattern gives movement and has a contemporary flair to boot! Wonderful addition for chevron lovers collection. 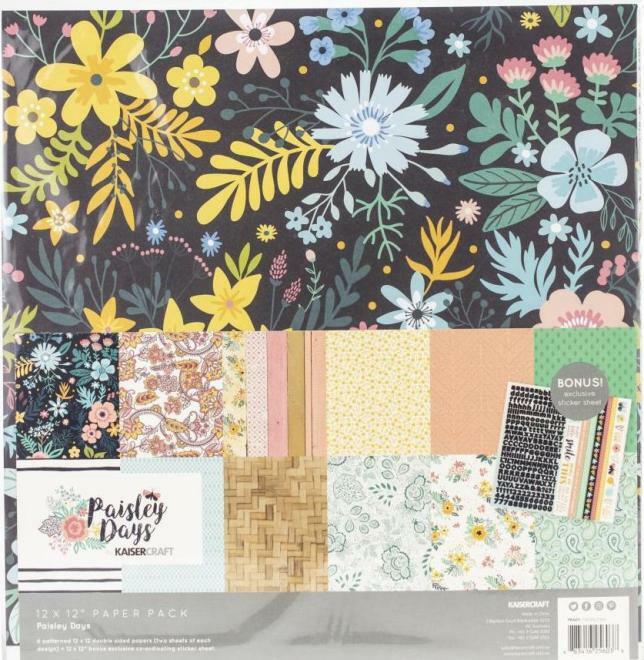 This is design is just too adorable to pass up! There are ten owls perched on branches. Use in a project will guarantee a smile! 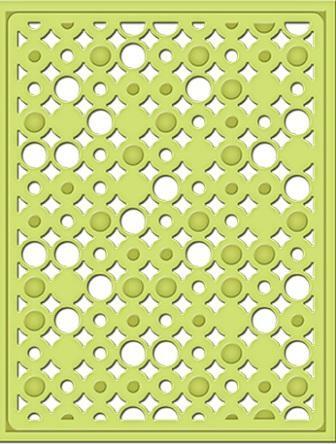 Shower your projects with fun dots of all sizes. 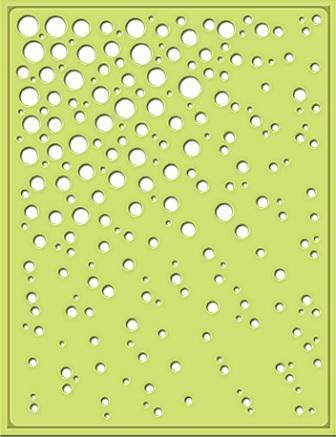 Cascading from the left corner, it can be used as rain drops or part of a fireworks design. So unique and clever! 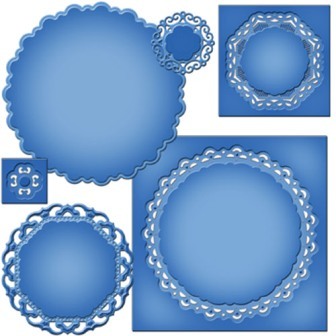 Fun and playful circle designs that cover the entire die template. Add glitter, bling and stencil ink through the die for a colorful effect. 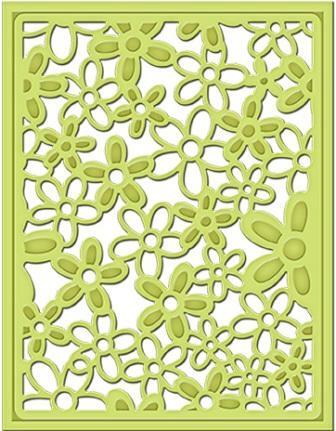 A burst of flowers covers the entire die template from silhouette to embossed flower designs. 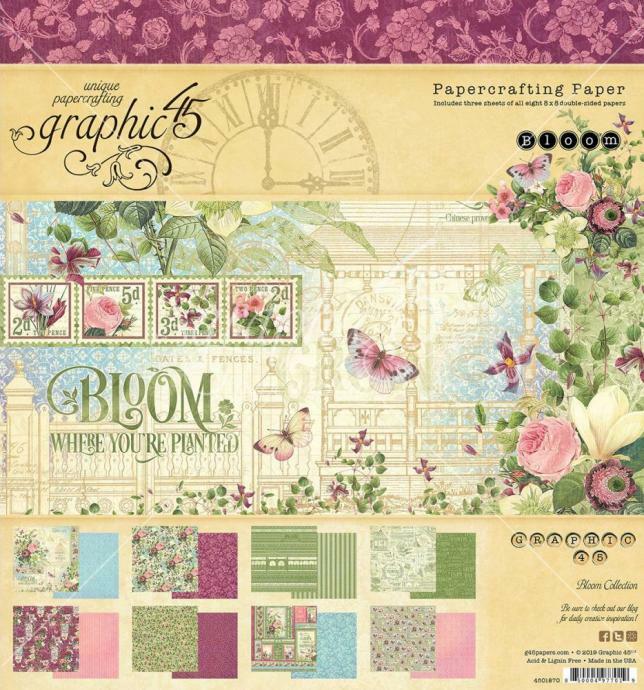 Add bling in the flower centers or stencil ink through the die template for added color. 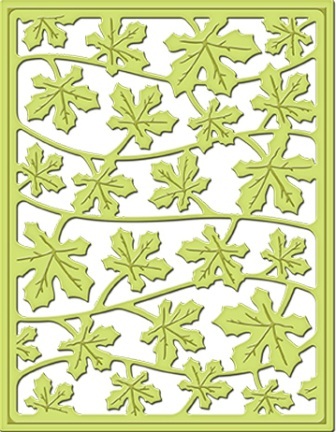 A fabulous array of leaves in different sizes covers the entire inset die. Stencil through the die in fall colors or green for an organic background. 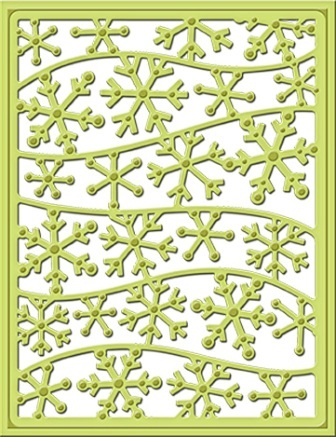 A frenzy of wonderful snowflake design that covers the entire die template. 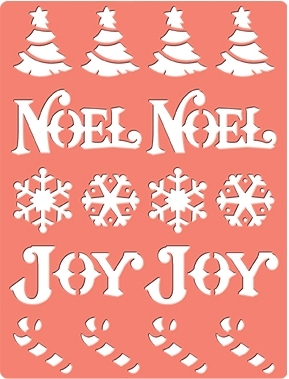 Cut and emboss with white glitter paper and add bling in the center of these flakes will bring chills! 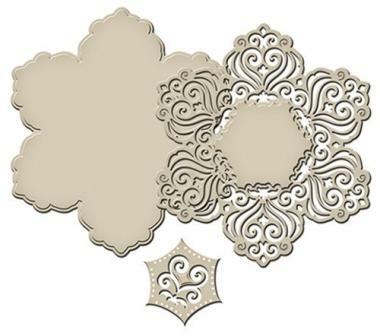 This three piece set is a gorgeous flower inspired shape with detailed cuts and details. Includes a complementary accent piece. 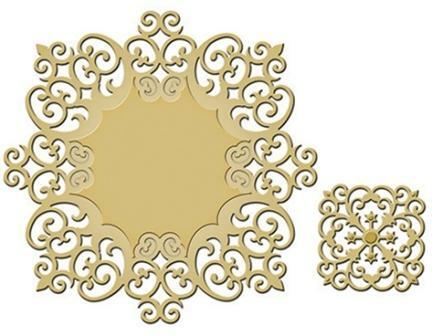 This three piece set is an intricate square shape with swirl designed details to create a wonderful pattern. Includes a complementary accent piece. 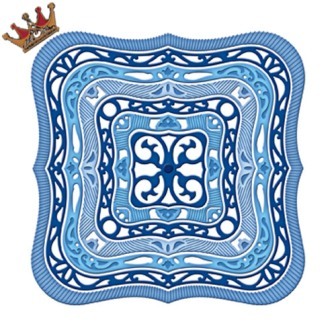 A beautiful butterfly is the center piece of this design. Three sets of accents can be layered or used alone. An intricate heart design in the center of the strip. 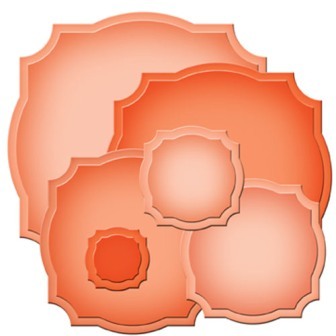 Three sets of accents can be layered or used alone. 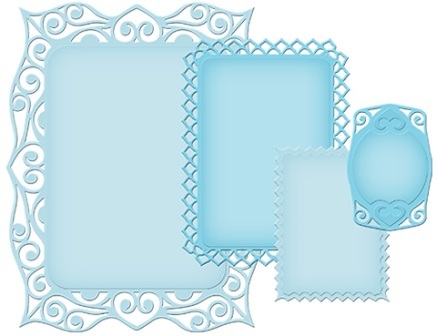 A set of six die templates includes coordinating inset dies. 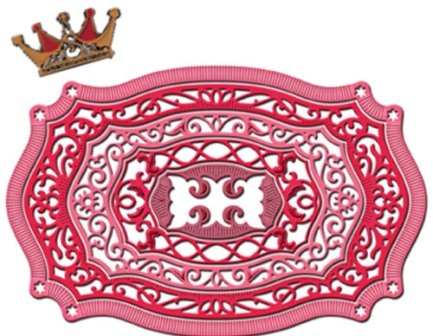 Nest their respective inset die to make beautiful detailed bows. An oval shape with beautiful leaf inspired design. 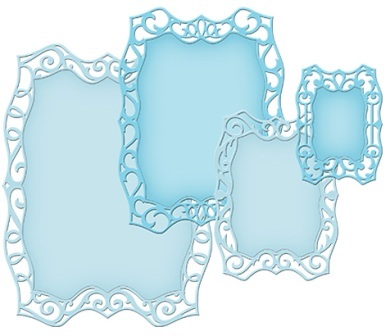 Inset die template has an opening in its center to create a wonderful frame. Includes a complementary tag accent. 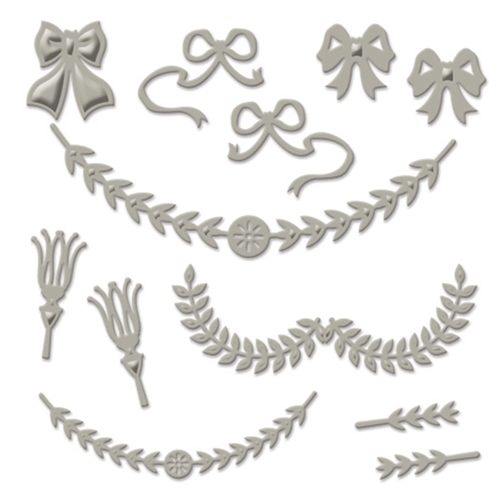 A wonderful grouping of classic designs in one set. 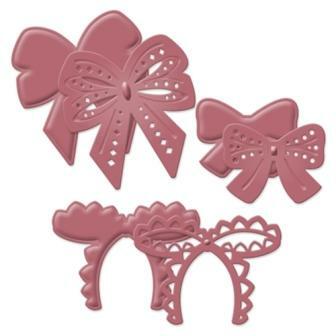 Motifs include laurel garlands to bows to tassel designs. Choose to use alone or layer them together to make a magnificent piece for your projects. 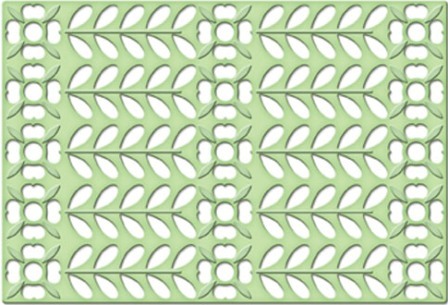 A set of six die templates includes coordinating insert dies. 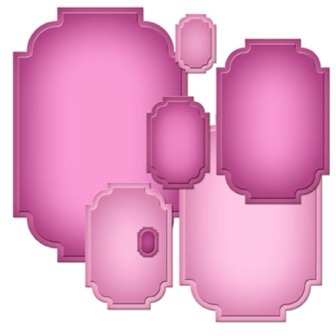 Nest their respective insert die to make an opening in the center for a wonderful framed die cuts. A simple shape that has inverted rounded corners and a slight curve design between the corners. It also coordinates with S4-424 Gold Labels Thirty-Four and S4-427 Decorative Labels Thirty-Four dies for elegant design options. 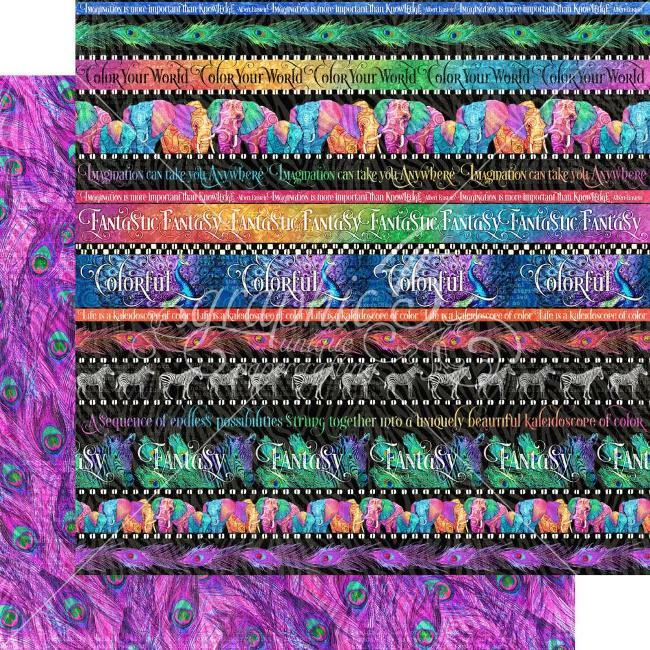 Labels One is a favorite in our Nestabilities® line so we enhanced it by creating this set of four die templates featuring more swirls, intricate cuts and details. Versatile to be used on projects from classic to elegant. A must have for our Labels One collectors! 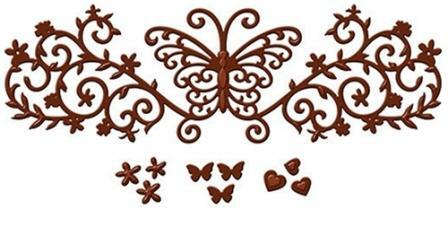 Spellbinders® Decorative Elements Nestabilities cut, emboss and stencil with a single die templates. An oblong shape with curves on its sides and a bracket design on its short ends for a classic look. 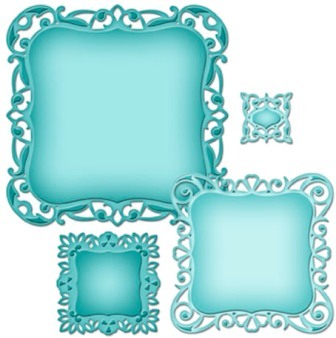 This six piece set can be layered or used separately. This set coordinates with our Labels Thirty-Four, a simple shape with inverted round corners and a slight curve design between the corners. 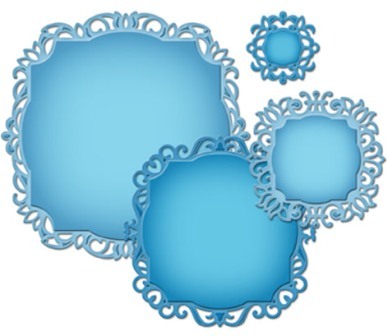 Lacey and intricately cut designs decorate the edges of this labels die templates. Stack together as they layer beautifully. 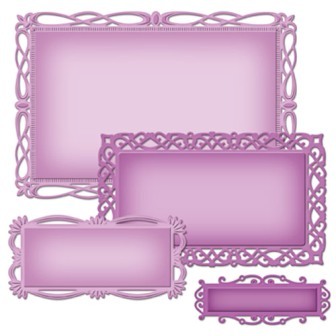 Or create frames, stamp images or verses in the center for creative options on cards, scrapbook pages and mixed media art. 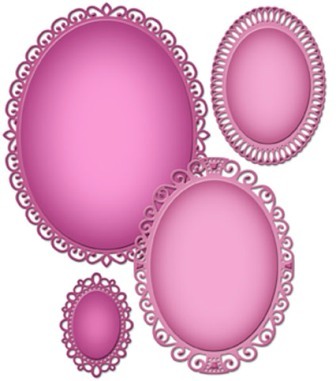 Spellbinders® Nestabilities® dies cut, emboss and stencil with a single die template. An oblong shape, close to being rectangular with its straight edges, has tailored corners to give it a modern twist. 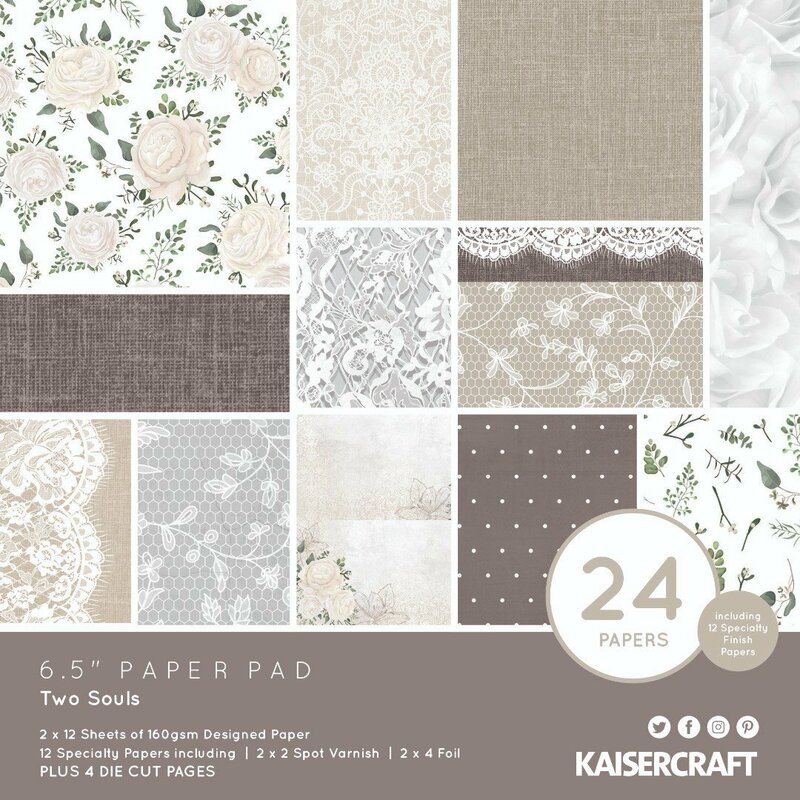 This seven piece set can be layered or used separately. 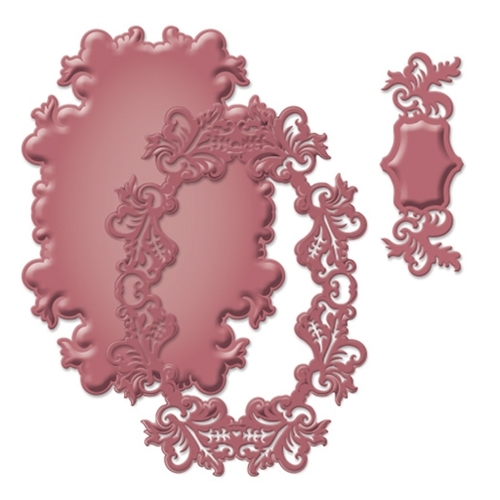 Reach the pinnacle of sophistication and elegance with Spellbinders® Majestic Elements dies. 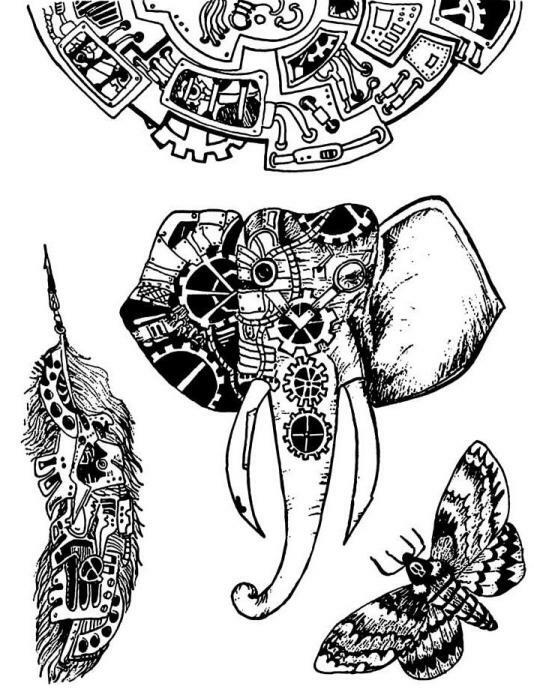 These intricately detailed nesting die templates are perfect as single elements or can be combined and layered for endless creativity. 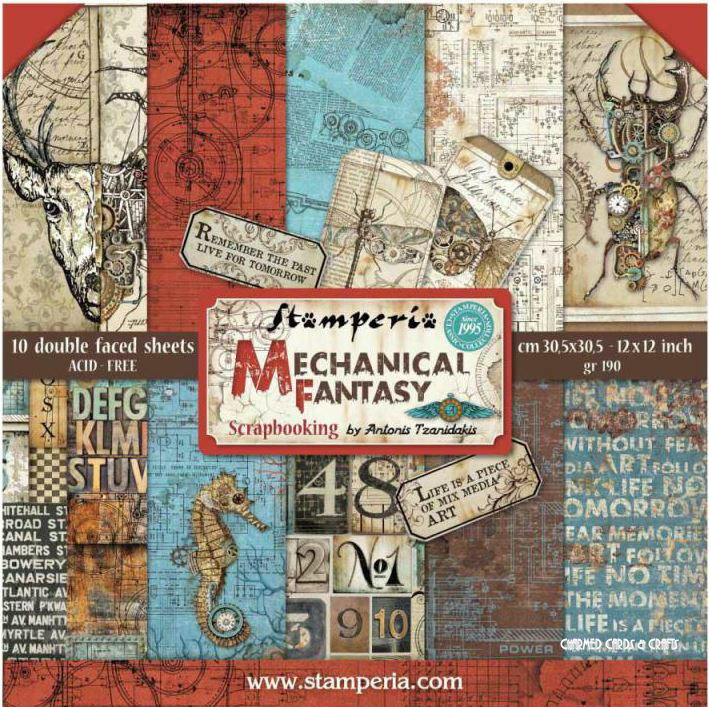 A more sophisticated and detailed design is found in this wonderfulrectangular set. 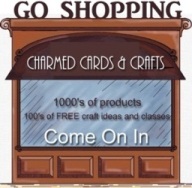 Use to create a shaped card or title block on ascrapbook page. 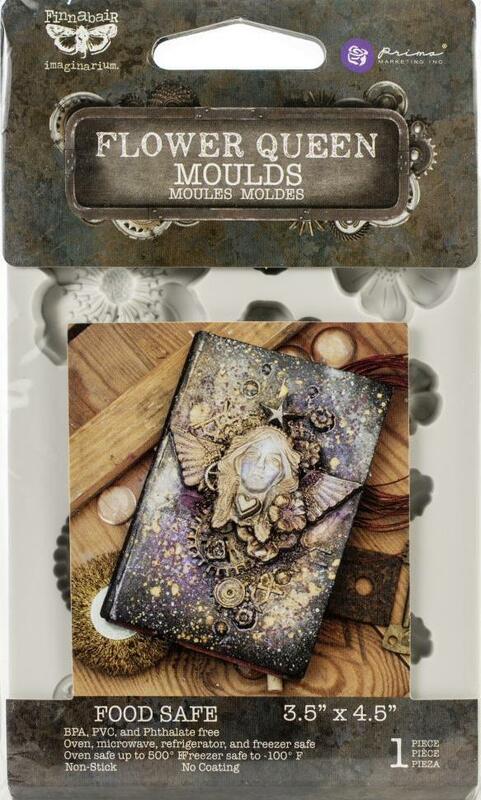 Or make it a part of a fabulous accent on a mixed mediaproject. 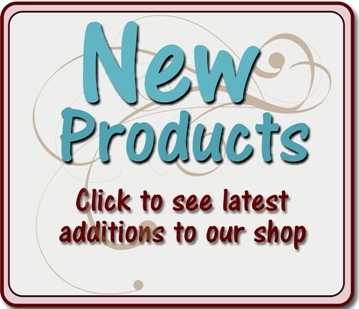 Spellbinders® Nestabilities® Imperial Gold Enhancing Elements dies. 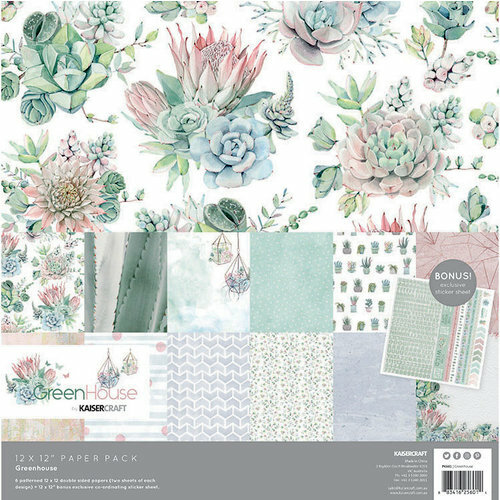 These unique die templates in our Labels Twenty-Five shape, a large scale rectangle with inverted corners and outward curved sides, used on their own create beautifully detailed inset designs that enhance without limits. 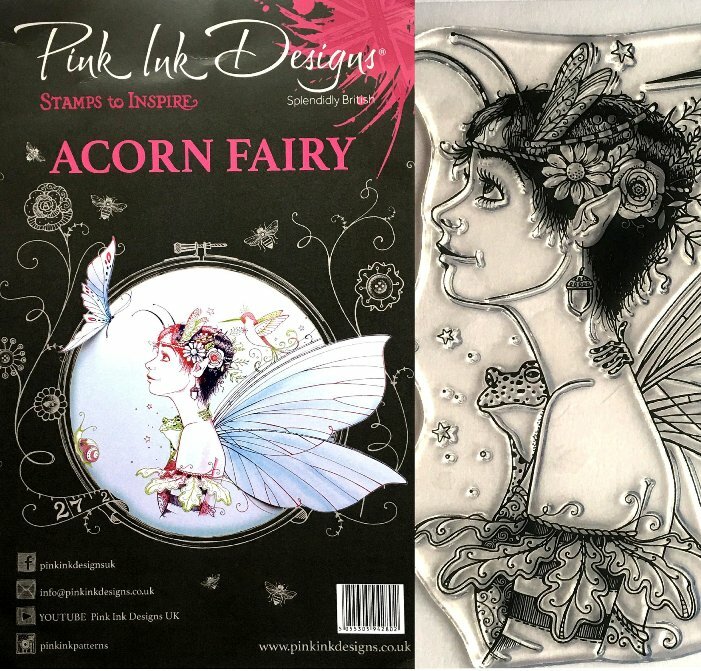 They are ground breaking dies that cut, emboss, stencil and deboss, giving you the ability to cut and create in multiple layers with a single die template. This revolutionary technology brings you amazing laser-like detail and four times the creative power! 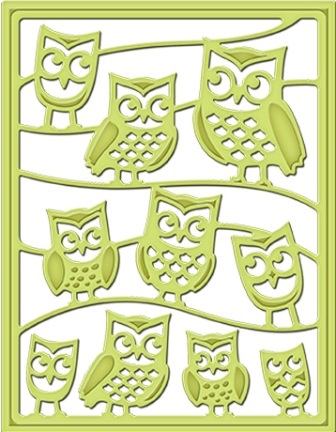 Spellbinders® Shapeabilities® dies cut, emboss and stencil with a single die template. 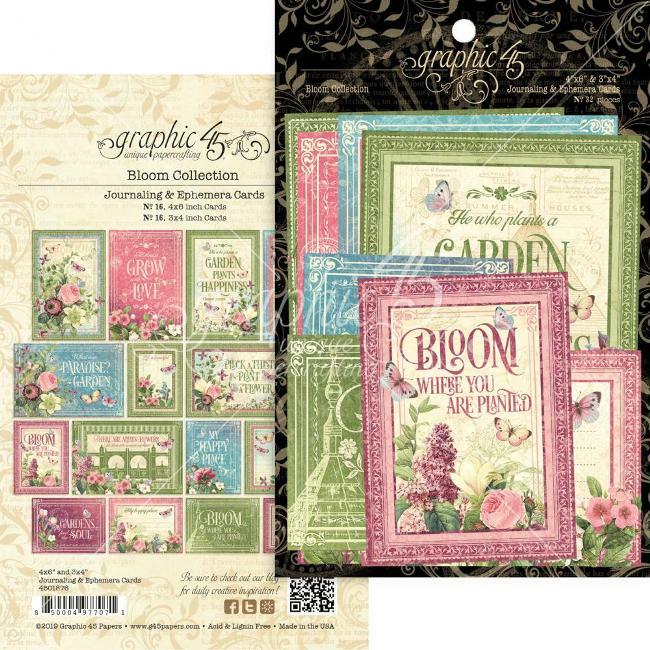 Rows and rows of beautiful flowers accent any project with this die template. Great embossing details around the flowers. Add rhinestones or a handmade flower on top for dimension! 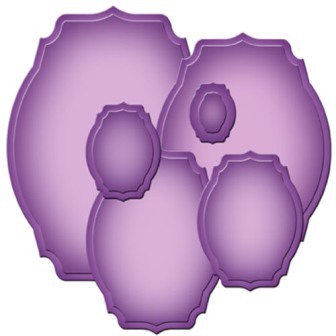 Spellbinders® Expandable Patterns dies allow you to expand designs in all direction to create on a larger scale. 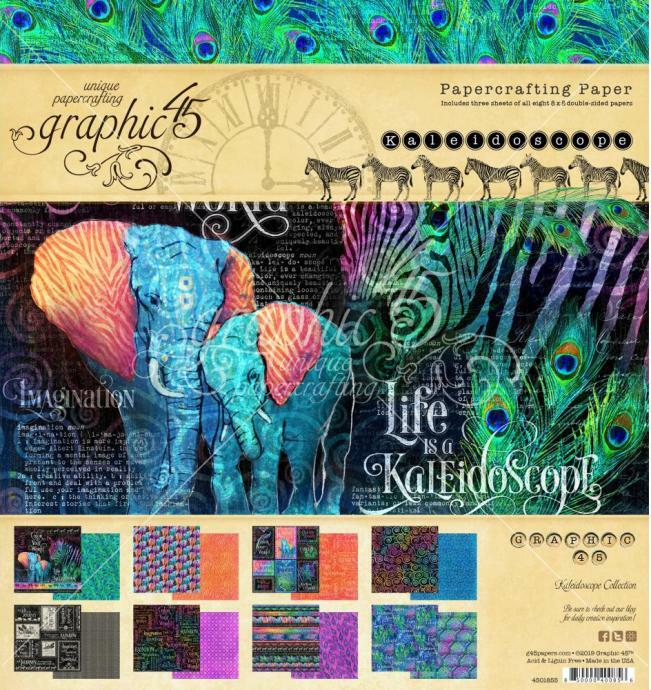 These detailed die templates are wonderful addition to your creative needs! 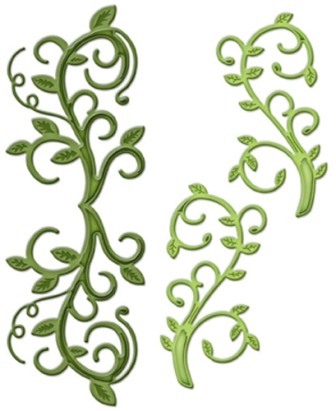 Detailed vine designs that is nature inspired. 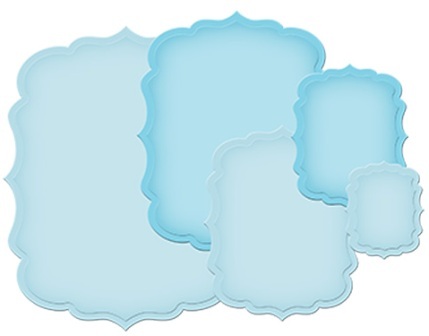 Add these accents to your scrapbook pages, cards or mixed media projects for a beautiful and delicate design. Stack and layer for a dimensional look. 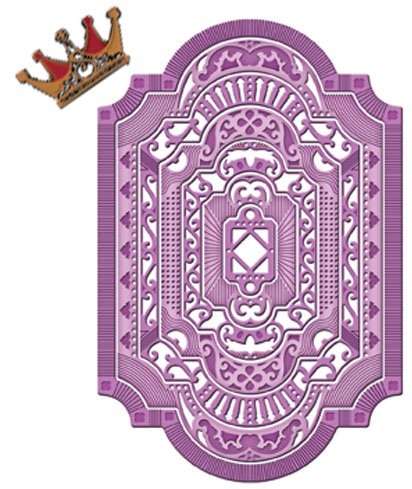 Spellbinders® Imperial Gold die templates are unique, ground breaking dies that cut, emboss, stencil and deboss, giving you the ability to cut and create in multiple layers with a single die template. This revolutionary technology brings you amazing laser-like detail and four times the creative power!